$295. 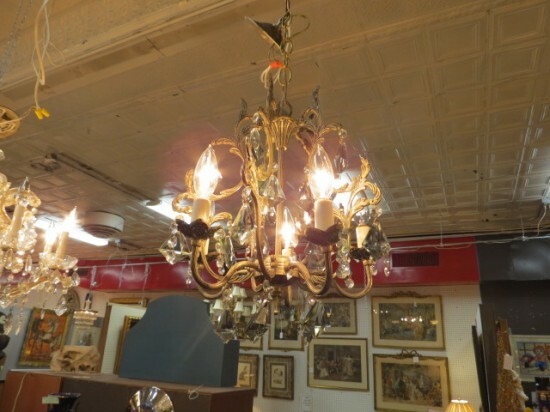 Vintage antique small 5 arm brass and crystal chandelier, c. 1940. Curved brass arms, curved brass pieces at the top. Lots of crystals. Excellent condition. 13in wide, 16in tall.